In most industries, differentiation between companies often comes down to branding achieved through creative marketing content. In light of that, your efforts toward marketing your business can be the difference between success and failure in a competitive market. Unfortunately, businesses that are looking to cut costs generally do so by slashing their marketing or advertising spend. When they do this, those savings don’t go very far because they end up selling themselves short. They lose out on the leads and sales they would have gained as a result of a strong marketing campaign. It’s worth making the investment in strong creative content that bolsters your marketing and connects you with your audience. Here are some things you should keep in mind regarding the importance and execution of a solid creative campaign. Branding, marketing, advertising – these terms get thrown around a lot and are often treated like they’re interchangeable. While they’re definitely interconnected and geared toward similar goals, they aren’t quite the same thing. 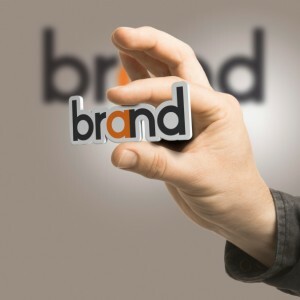 Your branding is the process of developing, protecting and promoting your brand. But that raises the question – what is a brand? Really, it’s everything consumers think about your business as they interact with your ads, print materials, website, products, logos and everything else that’s customer-facing about your company. Marketing on the other hand, is based around the 4 P’s – product, place (where you sell your products), price and promotions. It’s the sum of all the steps you take to get your offerings to market while generating attention and interest in what you’re selling. 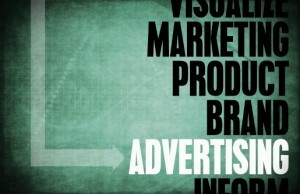 Your creative advertising, then, is the driving force behind both of these processes. Creative content, whether it’s traditional print, TV or radio advertising, blog content, online videos or anything else, is about taking a concept that positions your business as the best option for your customers and forges and emotional connection with your brand. This sort of evocative advertising will make you stand out, helping you cut through the clutter in a world where consumers are constantly barraged by marketing messages. Additionally, it’s the vehicle that turns an otherwise dry marketing pitch into a memorable message that sticks with the audience – a major part of branding your business in the long run. Studies have shown that a well-executed creative concept is the most important factor in making a strong advertisement – 52 percent of an ad’s effectiveness over time is due to the creative idea that underpins it. Another study showed that between 1980 and 1985, “aggressive advertisers” saw their revenues rise by 275 percent. That’s why you shouldn’t look at your ad spend as an expense. It’s an investment in your business. Paying for top-quality creative, as well as for the best placements for your ads, will pay itself back over the long run through more effective branding and delivery of your marketing messages. Best of all, a great concept can be used for multiple channels, giving you an even better return on your investment. Branding, marketing and advertising are all interconnected, but the creative concepts underpinning your ads are what drives all three activities.Branding, marketing and advertising are all interconnected, but the creative concepts underpinning your ads are what drive all three activities. Shopping around for creative advertising, whether it’s done by in-house talent or an agency, is a lot like buying anything else: There’s a good option, a better option and the best. And as with most things, you get what you pay for. A good option will give you all the basic things you need to execute a creative ad campaign – simple messaging, static banner ads, basic graphics and sound and a call to action. It’s engaging, it’s professional and it will fulfill its function well. The issue here is that it’s unlikely that you’ll get a lot of personalization for your ads, nor will a “good” option give you a chance to really show off all the moving parts of your products and services. A better option will give you all of the above, but will flesh things out a bit more. For on-air ads, you might see a more advanced concept, professionally recorded music, sophisticated graphics and other improvements to the basic package. Online, you’ll probably be looking at inline infographics and images, videos and animations, lead generation forms and so on. The best option will include everything mentioned above, but it will be executed at the highest level. Think about the commercials you see on prime-time TV or in a glossy print publication. That’s what you’ll get. This means expertly designed creative concepts, full campaigns, online interactivity and other hallmarks of the top tier of creative advertising. The key is in deciding what you need for your business and budget and then bringing it all together to form a cohesive creative advertising strategy. if you’re curious how everything comes together, we’ve explained exactly what you need to know about it in this free report. 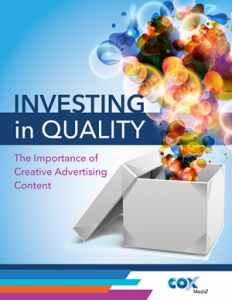 Check out the report and let us know how you’ll plan and execute your own creative advertising! Merrie Beth Salazar is the Director of Marketing Communications for Cox Media where she is responsible for developing innovative strategies that grow demand for Cox Media products and services.From a single-location retailer to an in-market agency, from regional brands to national media buyers and planners, Cox Media works to understand advertisers’ unique business challenges and develop marketing plans to move their business forward.Learn more about Cox Media at www.CoxMedia.com or on Twitter @cox_media.